Eddie Huang is a writer, restaurateur, and author of the blog and memoir Fresh Off the Boat. He is also unreserved, unapologetic, and very, very funny. Eddie Huang signed a deal with ABC to turn his memoir into a sitcom. In February, we brought Huang together with Hot 97 radio personality Miss Info for a night of unfiltered conversation at the vibrant, open gallery space at Chambers Fine Art. 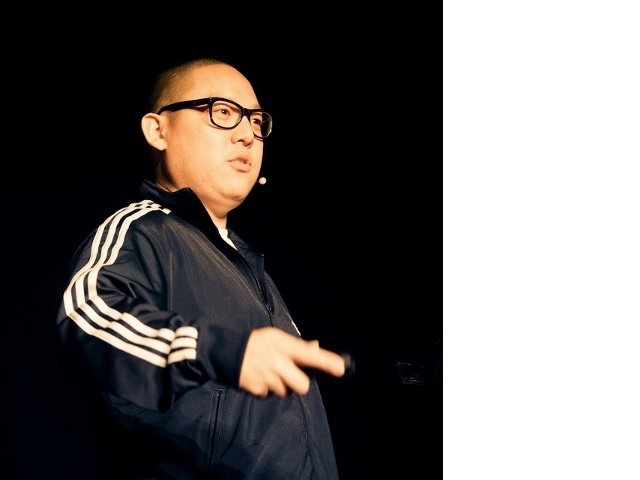 In front of a packed audience that broke out in fits of laughter, Huang opened up about everything from his teary-eyed viewings of Harry Potter, why he would fight for the only remaining parachute in a crashing plane, to forming a sense of himself and his work that pushed up against racial stereotypes. Huang has no qualms telling folks about how hard he’s worked to break out into the food world. He’s the owner and co-chef of the hit Taiwanese street food joint BaoHaus, which exploded on the scene in 2009. 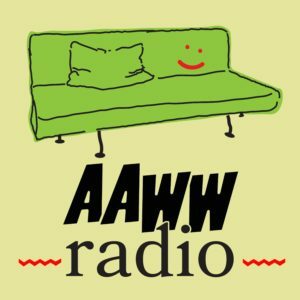 As his rise to celebrity chef status is pronounced by everyone from GQ to Interview magazine, Huang offered up some raw, heartfelt advice for the AAWW fam. 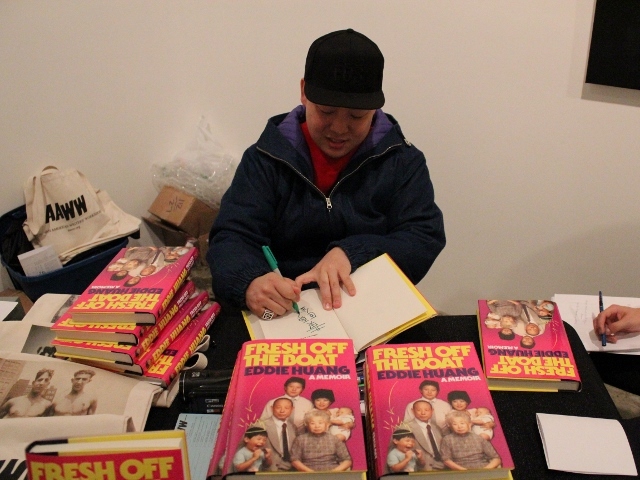 Eddie Huang signing copies of his memoir Fresh Off the Boat at Chambers Fine Art.